This time of year brings reflection on the past 12 months and wondering what could have been done differently. Or you may be looking to the future and asking what needs to change and where to start. Consider this: The vast majority of churches in our country aren’t making an impact in their communities. In fact, 94% of churches are losing ground against the population growth of the communities they serve. [ref] Most church leaders got into the ministry because they dreamed of reaching people and seeing them grow closer to God. But while “in the weeds” of ministry, it’s very easy to lose your way as you try to move your ministry forward. 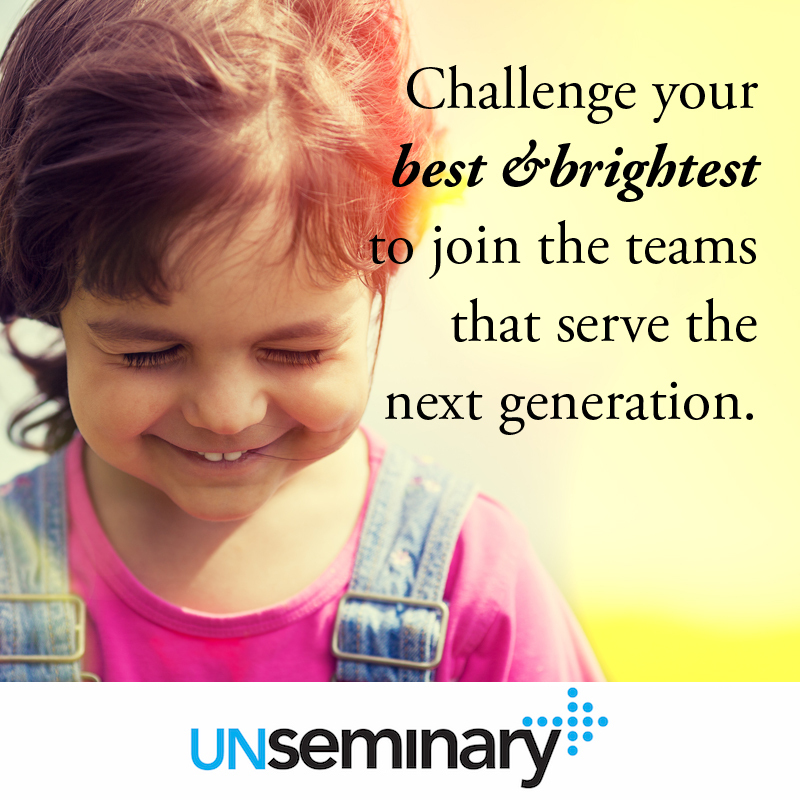 I have the honor and privilege of interacting with hundreds of church leaders every year through unSeminary. Many of these leaders are in churches that are making significant impacts in their communities … they’re seeing people take steps of faith, their ministries are expanding, good things are happening! I also interact with church leaders who aren’t sure what to do next. They’re struggling with a stuck or declining church, and they’re looking for some guidance on what to do next. Start here! 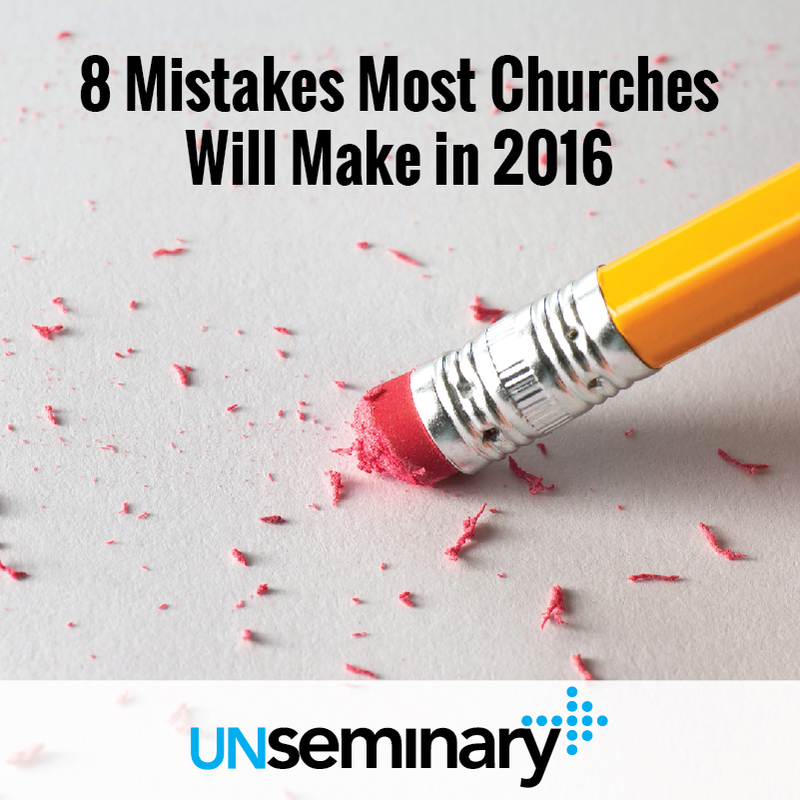 My conviction is that most churches are getting the following 8 areas wrong. I don’t write this from a place of criticism but as a fellow laborer attempting to help his friends. Our church needs to work on these areas and I think your church could benefit from considering them as well. Worrying about keeping rather than reaching // Do you live in fear of whom you might lose rather than focusing on the people who you aren’t reaching yet? We’ve all had those seasons when we fuss about the family at church who grumbles about one thing or another. When this strays from a healthy desire to listen to your community, it drives your church into ineffectiveness and decline. I’ve spent time around churches in their final days as they’re closing their doors, and often I see a “church boss” who is holding onto a bygone era or living in delusion and not seeing what’s in front of him or her. Your church is a lighthouse for the message you proclaim. Get obsessed about reaching people. Pray about it, talk about it, meet about it, do stuff about it. Reaching people is at the core of what God is calling your church to do. Under-investing in the next generation // Across a multiplicity of styles, strategies and theological stripes, one of the common traits of churches that are growing and making an impact is that they invest heavily in kids and student ministry. Is your church spending enough in this area? Typically, leaders don’t invest enough in it. A lot of senior leaders in churches don’t have young children anymore and so they have little active concern about these areas of ministry. But this can’t be the case! These areas need healthy budgets and great leaders. Challenge your best and brightest to join the teams that serve the next generation. Innovation usually springs up from these departments in your church, so look for leaders who will push the boundaries. Playing it too safe // When was the last time you did something risky? 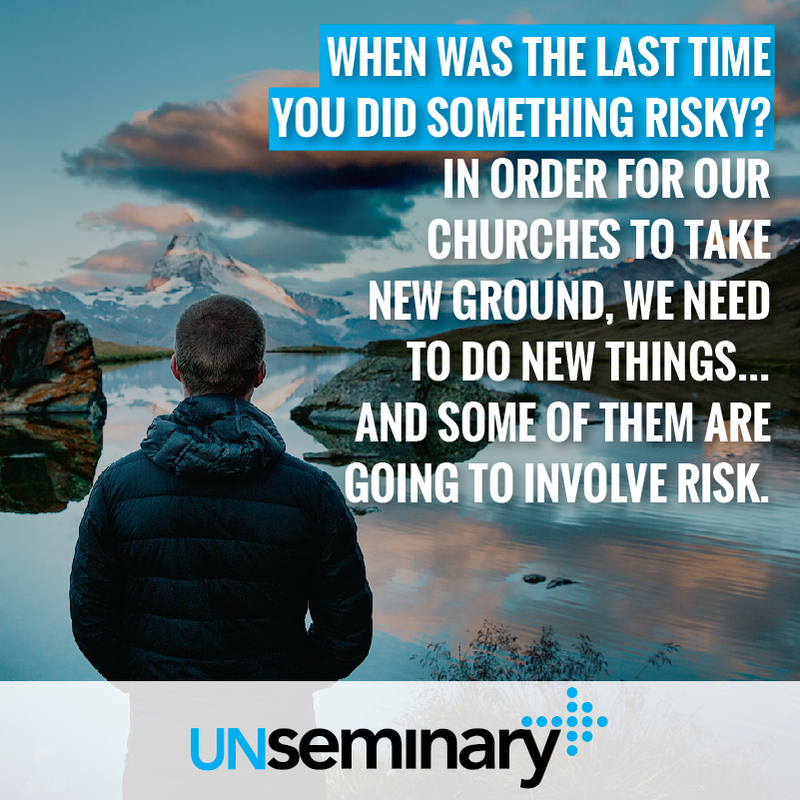 In order for our churches to take new ground, we need to do new things … and some of them are going to involve risk. Is there a topic you believe people need to hear preaching on but you keep holding back? Maybe this is the year to broach the subject. Perhaps you should launch the new campus even though everyone says this is the year to take a break from launching. (In my experience, the masses will never think this is a good year to launch a new campus.) Do you need additional financial resources to push the mission forward? Stick your neck out and design a campaign to ask people to give to the vision this year. Do you have a bunch of ministries at your church that are living beyond their effectiveness, or worse still, taking vital energy and resources away from ministries that are thriving? Drop the laggards and redirect the focus in the coming months. Your next steps are non-strategic and unclear // Lots of churches don’t have an “attraction” problem, they have an “assimilation” problem. They only retain a very small percentage of first-time guests. The main reason for this is they don’t have clear and strategic next steps for people. There was a time when offering 101 ministry options to people was seen as the smart thing to do. Those days are over but many churches still offer too many areas for guests to plug into so they don’t connect anywhere. Get crystal clarity on where you want people to connect … and then point everyone in that direction. Work hard to remove any friction in people’s way to that next step. Don’t over-complicate it. Get focused on where you want people to go and then be like a broken record communicating it. Not caring for the community // If your church was to close up shop tomorrow, would anyone notice? When was the last time you consulted with the town leadership in your community and asked them how your church could bless the town? “Social justice” isn’t an optional thing reserved for some churches. Churches that reach people engage them in the mission to meet the needs of their community. Like rock music or religious drama in the ’80s, this sort of community service provides a pathway to connecting with your community. But unlike those tactics, there is tons of New Testament imperative that we’re called to serve the poor. Engage your people in meeting practical needs because it’s the right thing to do. Celebrate and feature it because it’s a bridge builder to people who don’t yet attend your church. Jack-of-all-trades pastors // Most church leaders are leadership hoarders. Rather than looking for ways to give away responsibility and raise up other leaders, we hold too tightly to our roles and responsibilities, believing we are only ones who can do what we do. The direction of scripture is clear: church leaders are to build up and equip the people. [ref] Our role is to find, equip and release people to do the ministry. Church leaders who have the skill of releasing volunteers are invaluable to the mission of the church. That ability helps a church to grow and scale. Churches led by jack-of-all-trades leaders stagnate. Find out what only you can do and focus on that … delegate the rest. Someone else is better at all that other stuff and your church is missing out on the unique piece you have to offer. Treating the teaching lightly // Teaching leads. At the core of every church of impact is relevant, engaging, challenging teaching in the weekend service. The styles may be different but the commitment to providing a quality teaching experience is universal. The communicators in these churches treat their craft like an art and a science. They work to add flair and connection but also study what makes great communication. Churches that thrive have systems and support built around the teaching pastors to help them deliver consistent content on a weekly basis. These leaders aren’t afraid of feedback; in fact, they often have robust feedback loops. Not having fun! // We have the “good news” and it should generate joy in people’s lives. Can I be honest for a moment? A lot churches aren’t exactly joy factories. In fact, we seem to be known more for what we’re against than what we’re for. Fun is a strategic imperative for your church. It’s shorthand for communicating grace to a fallen world. It points to a God who loves people rather than an angry judge looking to wipe out folks. Lighten up … smile once in a while … and find a way to inject some joy into your church experiences on a regular basis. Gary! I agree … what do you think needs to be added? Thanks for this swift kick to help stay focused on not just working in the church but keep working on the church.